Autoscript has a history of innovation, technological development and investment that push the boundaries of the prompting discipline not just for the sake of selling more stuff but to solve our customers real-world problems or challenges. All of our innovations are derived from intimate customer knowledge, and when customers give us a good idea we can react to it quicker than anyone else because we design, develop, build and support everything ourselves. 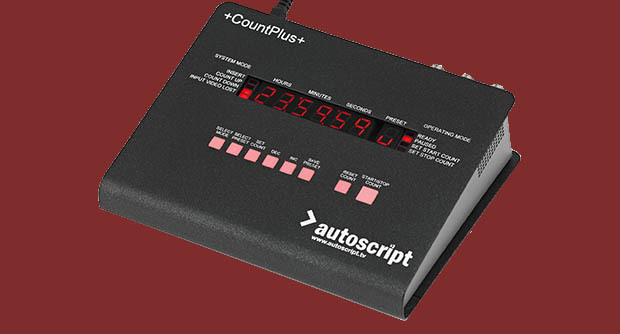 As well as the prompting units themselves, we have also developed some great accessories such as the hugely popular ClockPlus tally and timecode display accessory that integrates with all our LED monitors and displays studio time and camera status at a glance, which is a really valuable production aide for talent; and the award-winning voice activated VoicePlus controller which dispenses with hand or foot controls. The original concept for the E.P.I.C. (Enhanced Prompting Information Centre) an all-in-one prompter and talent monitor came about through the combination of customer requirement and our desire to offer a better talent monitor solution than the one we had introduced around eight years ago, to enable presenters to see the programme feed. While the concept was popular, our custom-built monitors were relatively expensive; we found that a proportion of broadcasters were buying their own monitors but still using our mountings, so it was turning into a workaround rather than an ideal solution. We decided to create a combined, integrated system with a prompter and talent monitor running off the same rig. Once we started the design process, a whole host of additional benefits became evident. By integrating the two systems we had less hardware, which in turn meant less weight and a greater tilt range; power consumption was greatly reduced; and the set-up and break-down was much easier and quicker. While the initial design concept was sound, we then spent time tweaking things like the screen size and the depth of the talent monitor in order for it to fit and balance correctly on the rig, and the way in which the monitor latched when it was pushed back and folded down. We launched the E.P.I.C. at NAB 2012 and received overwhelmingly positive feedback it was something everyone wanted but no-one had thought of. Customers liked the speed of set-up, the simplicity of it and the clarity of the image on the talent monitor. Since the launch, the E.P.I.C. has continued to evolve with new customer requirements. The talent monitor can now swing freely so that when the camera tilts, the talent monitor remains at 90 degrees. 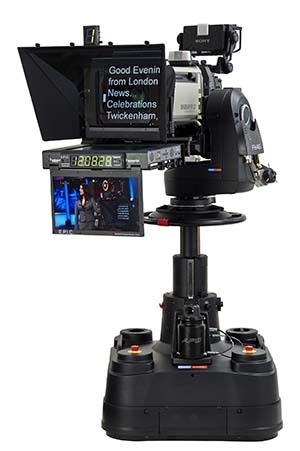 We have also developed a model with a second SDI input, in response to requests from customers that want to flip the talent monitor and prompter - for instance, on home shopping shows the presenters can look into the lens to see the programme feed, which allows them to see how the product looks and where their hands are. For the future were looking at producing different screen sizes for the E.P.I.C., and are also considering different ways in which the talent screen output can be controlled. Were also seeing the E.P.I.C. used in ways we didnt expect, such as taking it into the field. The talent monitor can fold up flat, so its relatively small and compact and the reduced weight means the unit can be moved around easily. SWR, the German broadcaster, has a unit on an OB truck, and a major American broadcaster took several on the road for its US election night coverage. The E.P.I.C. remains a unique product in the prompting market, providing an elegant solution to a practical problem. This is borne out by the sales figures - while its our most expensive single product, its becoming our biggest seller in the higher end of the market. Autoscript has always been seen as an innovator and we will always work hard to stay ahead of the game, developing new ideas to keep up with the rapid changes in broadcasting - but always focusing on customer needs.